Click the image above to expand it. 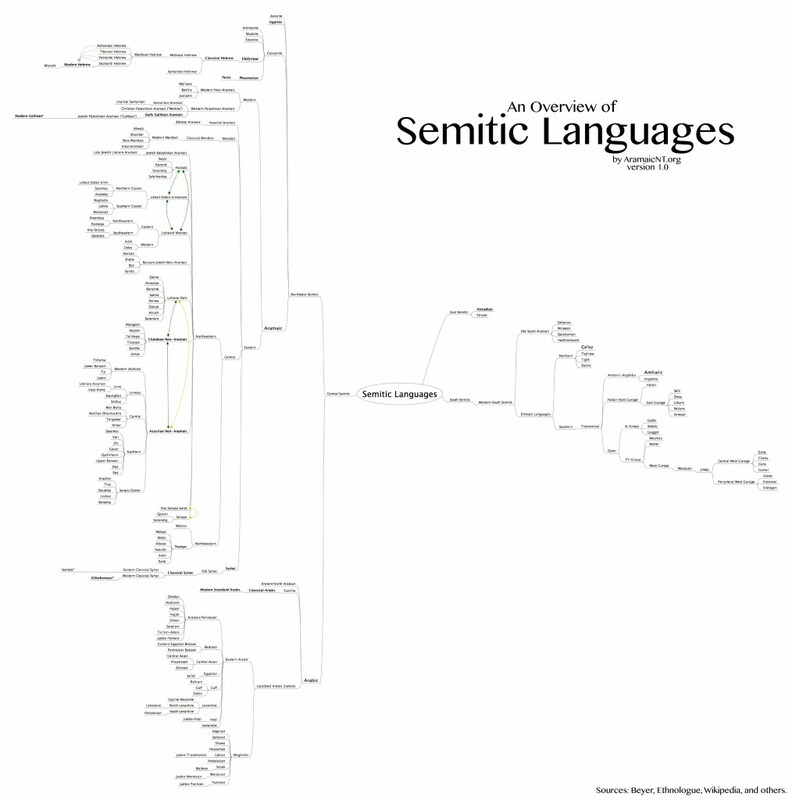 Here is a map of most of the Semitic languages (both living and dead) roughly arrayed out by how they are related to one another. It’s still a work in progress, but it’s amazing to see how many dialects are out there for languages we usually think of as monolithic.